On Friday the 16th, our adoption of a very special puppy was complete. 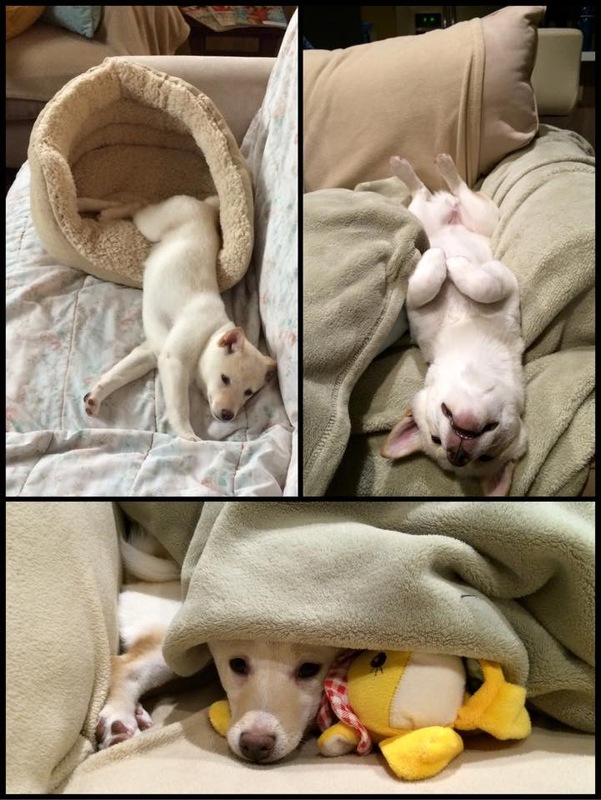 We were lucky enough to be chosen to foster and then adopt her from Shibas4Life, a Shiba Inu rescue in Oregon. 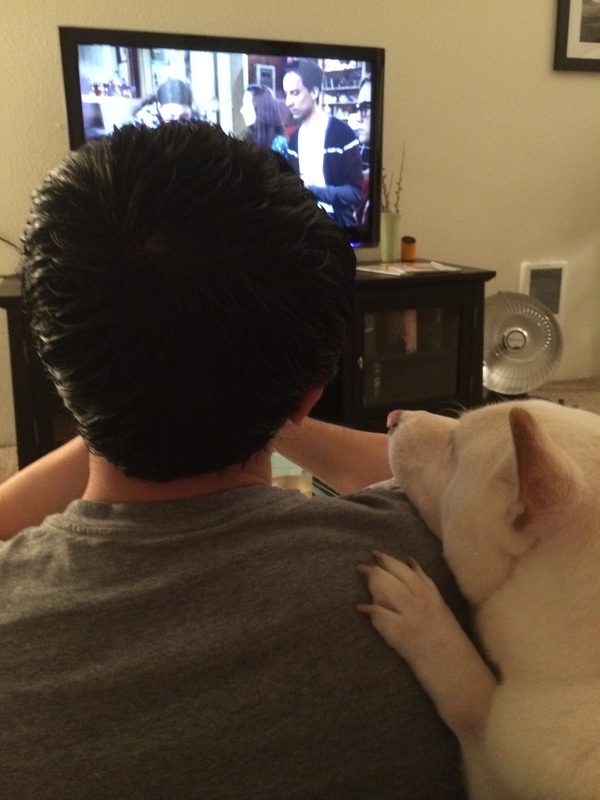 As I mentioned in Kuma’s adoption post, I love Shiba Inus. Really, all animals, but my Shibas are very special to me. 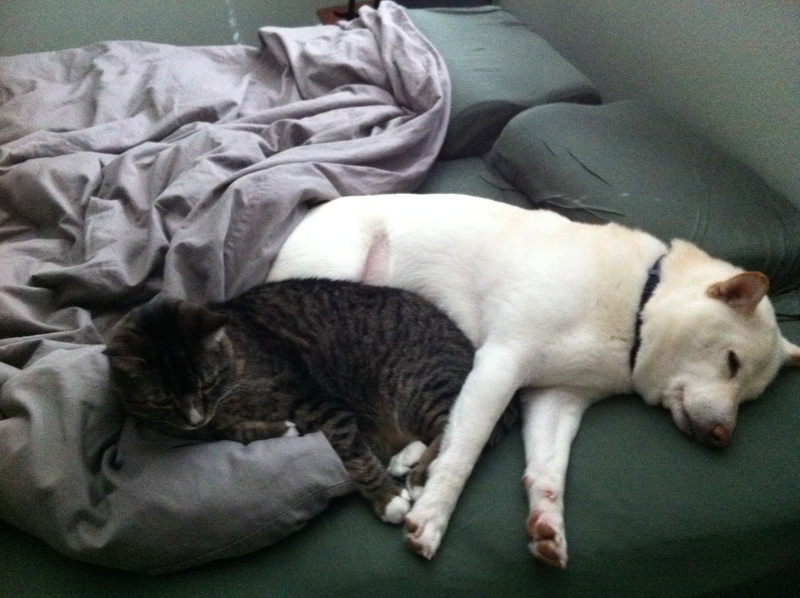 J used to work from home, and Kuma was lucky enough to have him around all the time. When J took a new job, Kuma was really lonely. I started looking for a new dog to keep him company, but ran into a lot of dead ends. 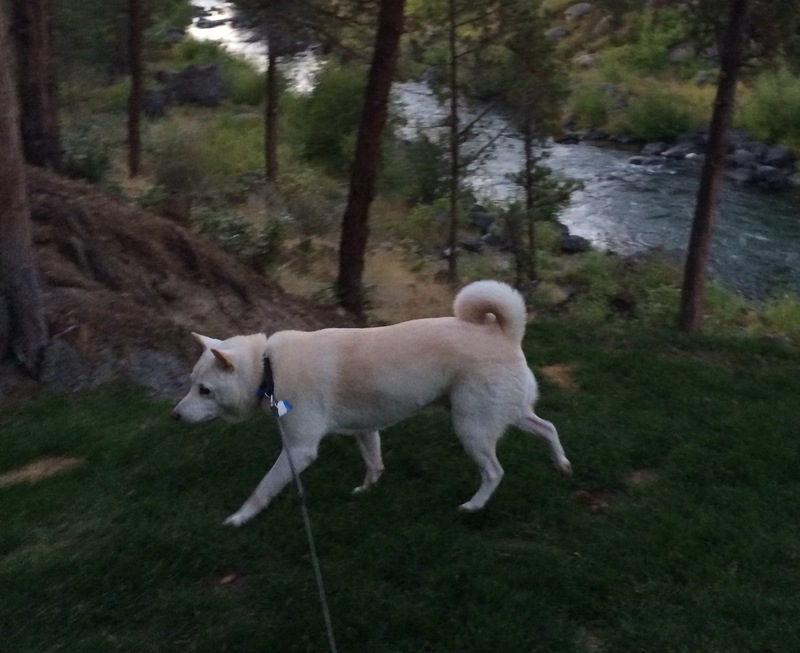 My preference was a rescue, but I knew that a good match for Kuma was our first priority. I had Denise at Shibas4Life on the lookout for me, but no one came up. 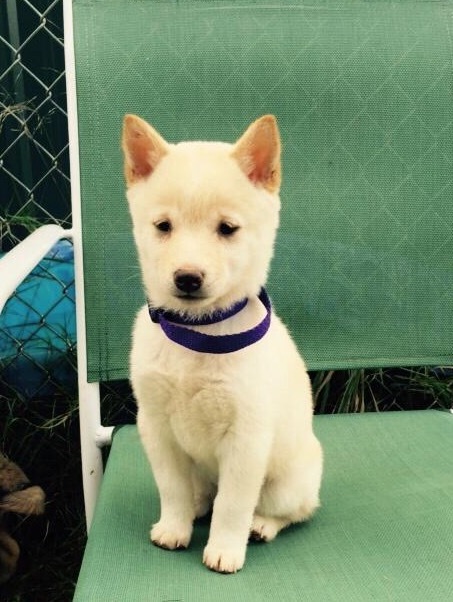 We even fostered a wonderful Shiba female, but she wasn’t a good match for our family. Riley was rescued from a puppy mill. The state took all of the dogs and put them up for auction in Missouri. Thankfully, Shiba rescues across the country found out and bought the dogs. 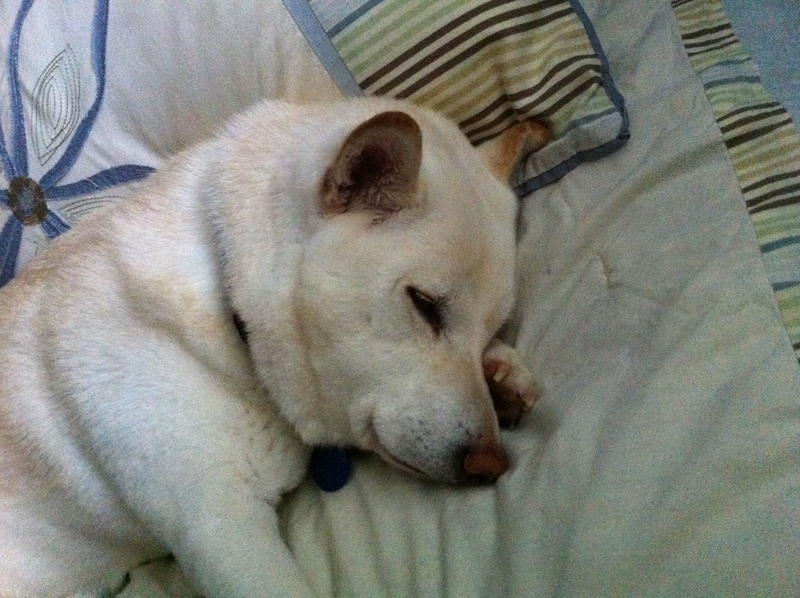 The dogs that went to Shibas4Life got immediate vet care, their own room and play yard, and a lot of love. Shibas4Life searched for the perfect homes for the pups, and one of them was mine! The picture of Riley in the green chair is one I saw before I met her. She was so tiny, even an extra small collar was huge on her. She is growing like crazy. At just shy of five months, she is about 11 pounds. I am guessing she will get to be around 18-20 pounds fully grown. Now she will spend her life lounging in the house, playing with Kuma in her own backyard, and visiting the park. She will never be hungry, cold, or over bred. 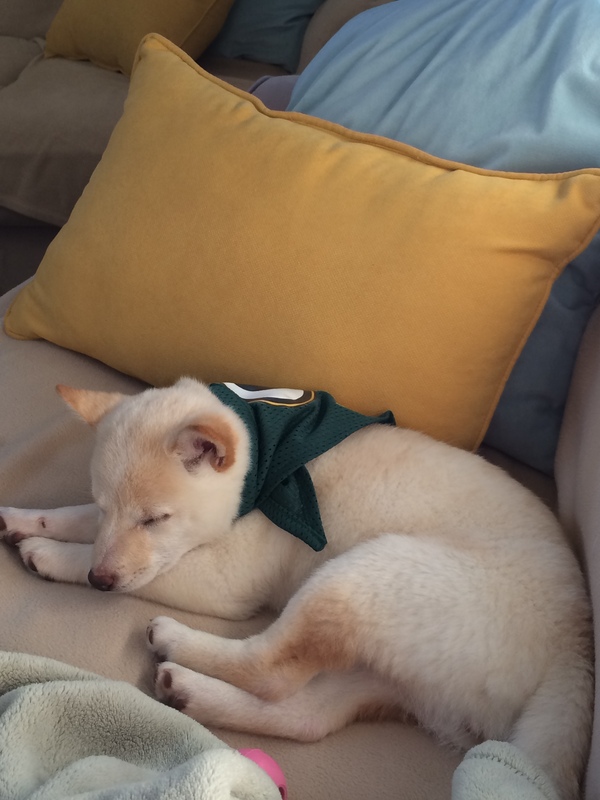 She may be forced to root for the Packers, but I think she’s learning to like them. I do not yet know where all of her siblings are going, but I know that at least one that she arrived with (not from her litter) will be close enough to visit occasionally. Next summer she will go to the Shibas4Life picnic and be reunited with some of her siblings from her litter. Next up for Riley is tackling obedience school. I signed her up at Wonder Puppy and I think she will be a master. J has already taught her how to sit! Anyone else doing puppy training?